For this batch I used just over 1/2 cup of coconut oil and just over 1/4 cup of shea butter. 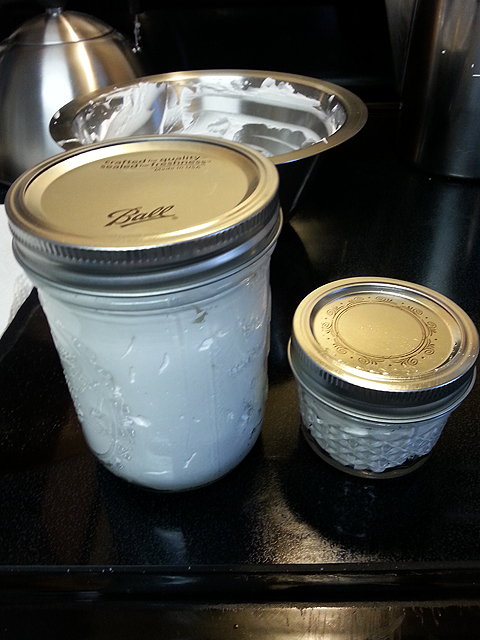 Initially, I wanted to make a “just coconut oil” whipped body butter, but found the consistency weird after whipping it, so after some tweaking, I found that a 2 to 1 ratio worked beautifully. I measured out, unmelted, what looked to be almost 3/4 cup of solid coconut oil, placed it into a Pyrex measuring cup and stuck it in the microwave and heated it at 35 seconds on high as many times as it took to melt to liquid. In my case, it took four times. I poured this into a metal bowl. I then measured out, unmelted, what was almost 1/2 cup, maybe a little bit less, of shea butter. Now everything I’ve read says to use unrefined shea butter, but I happened to have refined on hand and have nothing BUT success with it. At any rate, it takes a little bit longer to melt the shea butter (about four zaps in the microwave on high for 45 seconds), but once done, I stirred it into the metal bowl with the coconut oil and placed it in the refrigerator. Once it gets to that point, take it out of the fridge and whip it with your hand mixer. I don’t have a KitchenAid stand mixer with the attachment that aerates (although it IS on my wish list), but I found that my regular, run of the mill mixer works great, especially if I mix on the highest setting. I have also found that it may take two or more “mix, chill” sessions to get the consistency just right. After chilling, whipping, chilling, and whipping again. Then I added about 40 drops of lemon essential oil to the fluff. I found lemon and the other citrus oils require more than lavender, rosemary or other herbal oils to get the same fragrance level. 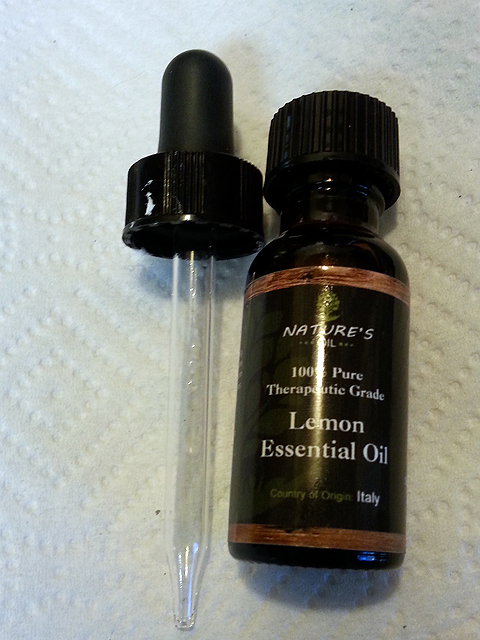 Lemon essential oil – very refreshing! I mixed in the oil, and was ready to spoon this into jars. This recipe almost tripled in size. 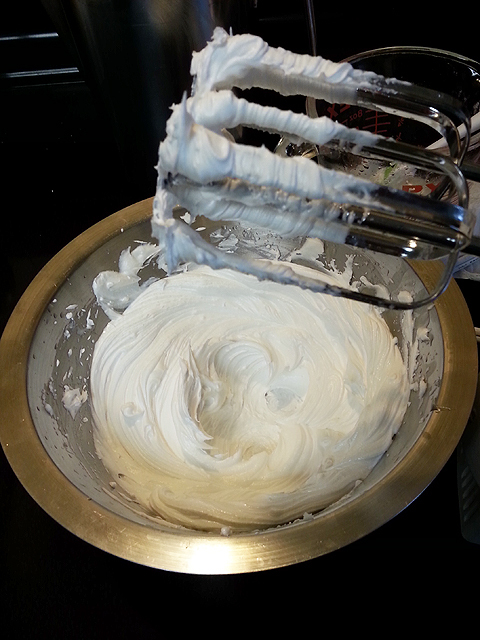 I started with 3/4 cup of melted oil/butter and ended up with 2 1/4 cup of whipped body butter. Love this recipe! I use the same ratios, but use half shea and half cocoa butter. It smells so good! I also use a stainless bowl over a pot of boiling water to melt for a poor woman’s double boiler. Works like a charm!